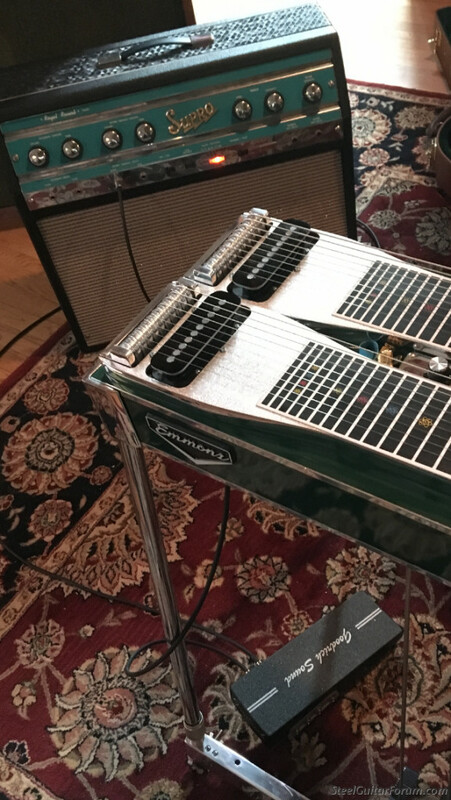 Came across this sweet amp in the studio today. Greg, tube or solid state? How about a shot of the back side and what speaker? My God is that wonderful!! I had one like that in my early teens but I think it had two 12"s in it. Brings back a ton of great memories! I love it!! 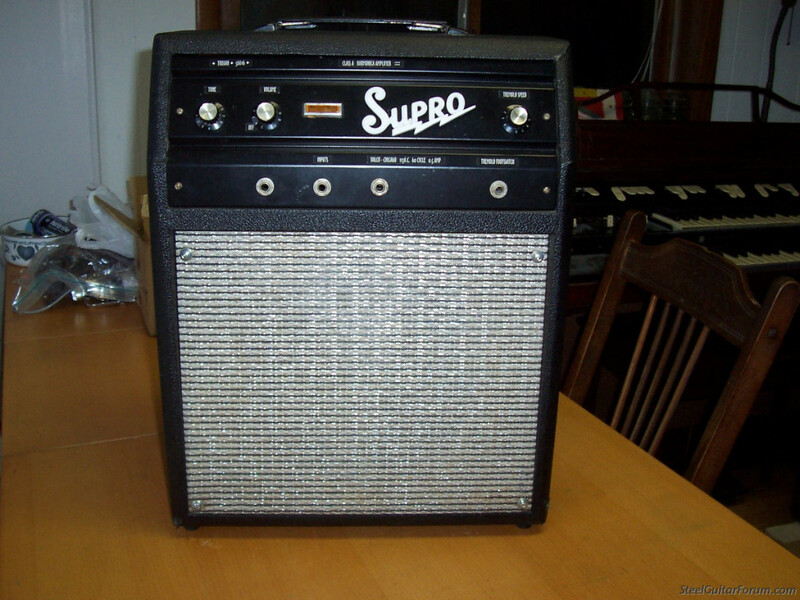 I had a Supro "Trojan" from the same era. Mine had a single 10" Jensen "Special Design", tremolo but no verb, and a single end 6V6 output for about 5 Watts. It was pretty loud for a 5W amp though. I wound up powder coating the somewhat corroded faceplate and vinyl painting the tolex but it looked good and sounded great.